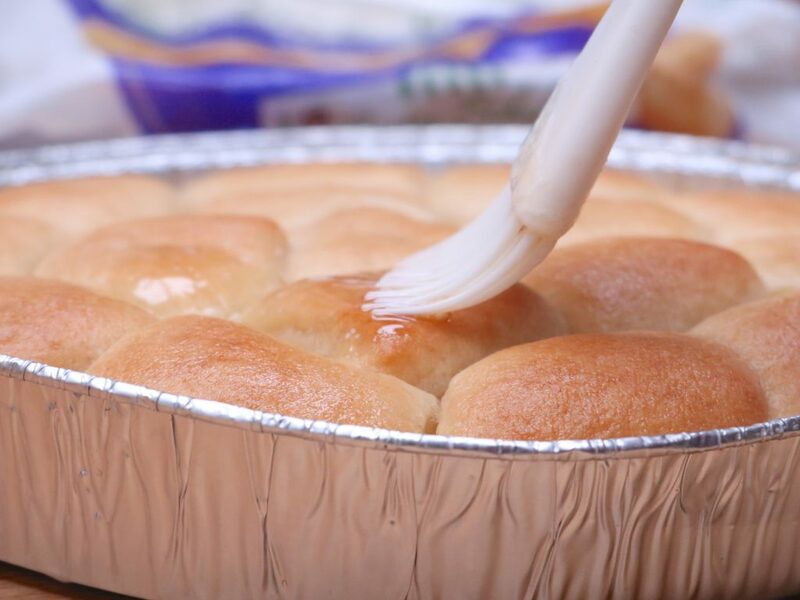 "Sister Schubert's Parker House-Style yeast rolls are the perfect side dish for this breakfast casserole!" I’m starting to feel it. SPRING FEVER! Gosh, as soon as the weather starts to warm up, I get all antsy with excitement! We have a lot of Spring traditions in my family. We usually get a new batch of baby chicks for the backyard, and we start planning and planting our garden. This year we are doing an edible landscape of herbs, muscadines, an apple tree, pecan tree, and several berry bushes. Another Spring tradition that initially happened by accident is our Saturday Spring brunch picnics! This tradition is when we sleep in late on Saturdays and have brunch on the picnic table while still in our pajamas! It’s a small tradition, but the boys love it! The requested menu is always a hearty breakfast casserole, fresh fruit and buttered, Sister Schubert’s Parker House Style Yeast Rolls. 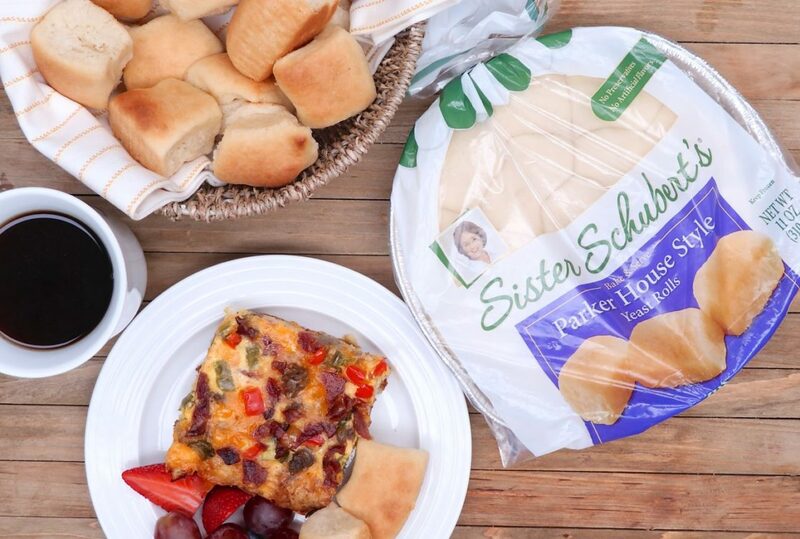 Have you ever tried Sister Schubert’s Parker House Style Yeast Rolls? You can find them in your grocer’s freezer section and mercy, mercy, mercy, they are good!! 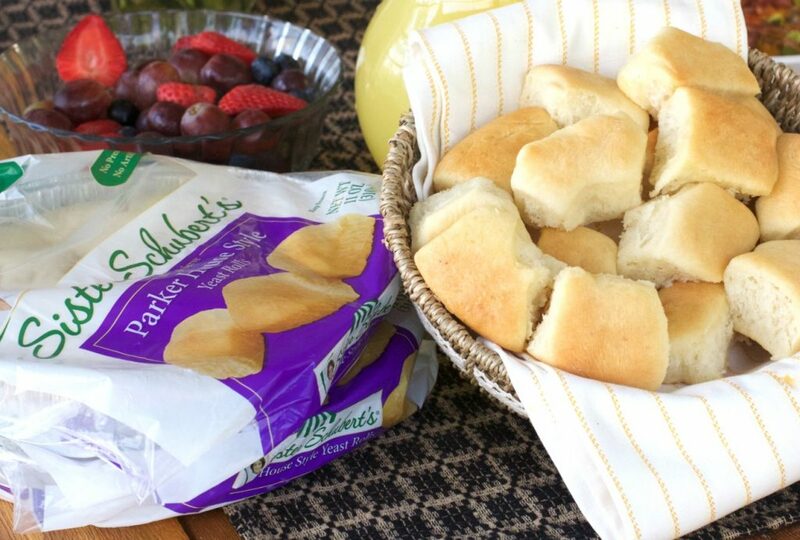 Sister Schubert’s rolls use simple ingredients from a recipe that’s been passed down through five generations and they really do pack in all that homemade, from-scratch flavor. I dare you to eat just one of these fluffy rolls when they are hot out of the oven. No, I triple dog dare you! I can NEVER have just one. Ever. They are super easy to prepare, and they already come in a handy-dandy pan! Just take them out of the freezer and into a preheated oven. I like to brush them with butter and serve them piping hot. Below is the recipe for the breakfast casserole that I make often for our brunch picnics! It goes so well Sister Schubert’s Parker House Rolls. Do you have a favorite family tradition? Stop by my facebook page and share your favorite family tradition to be entered to win a $250 Visa Gift Card! 8 oz bacon, prepared and chopped. In a large skillet over medium heat, brown ground sausage until cooked. Drain off the fat, reserving about 2 tablespoons of fat. Add reserved fat to the pan. In a large bowl beat eggs, milk, sour cream, and chives. Pour egg mixture into a 9x13 inch glass casserole dish. Place tater tots in rows in the casserole dish. Add an even layer of the sausage. Sprinkle with red bell peppers, green bell peppers, and bacon. Cover with foil and back for 45 minutes or until the center is almost set. Remove foil and cook until cheese is completely melted. Remove from oven and let cool, the center will set completely as it cools. I love this idea and recipe, Thanks for sharing .